Collected by Alluaud & Jeannel at New Moschi, Mt Kilimanjaro, 800m. 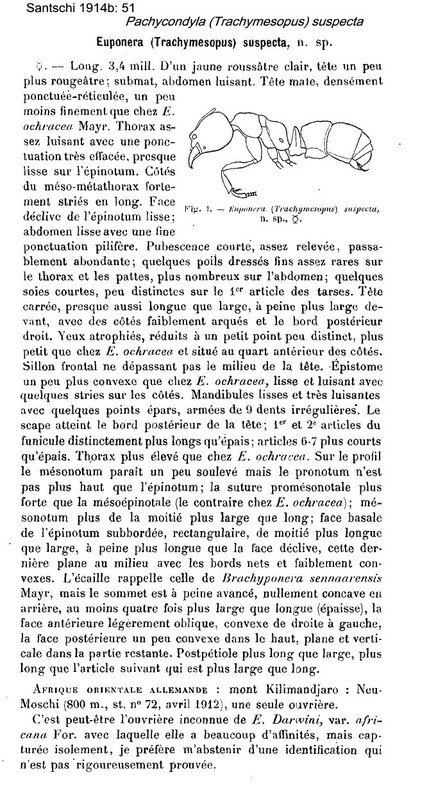 Santschi's (1914b) description is at . 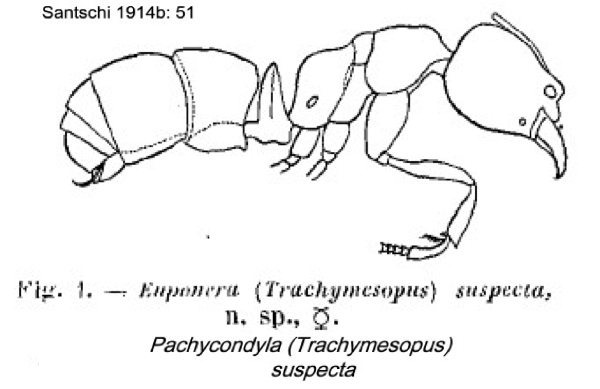 His comparison is with, now, Cryptopone ochracea (Mayr, 1855: 390, queen; Emery, 1869b: 12, worker; type location France). 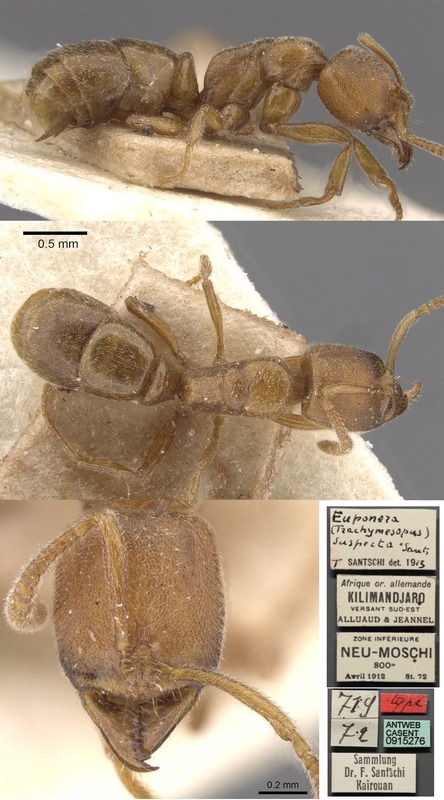 The photomontage of the type worker is collated from http://www.antweb.org/specimen.do?name=casent0915276. 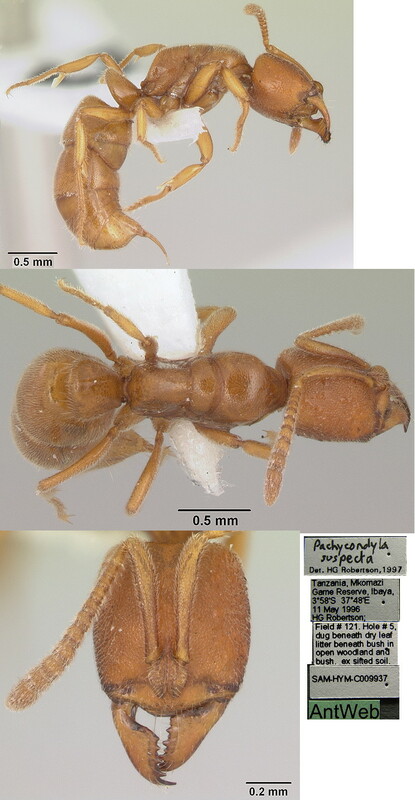 The photomontage is of a worker from Tanzania and is collated from http://www.antweb.org/specimen.do?name=sam-hym-c009937.